BestStart is Aotearoa’s largest early childhood education and care provider, with over 260 centres located nationwide. It is owned by a charitable trust where children are at the heart of everything we do. Having a passion for children and an understanding of their families and wider communities underlie every aspect of our organisation. We want to support the next generation of teachers in their learning journey. We see this as an important social responsibility and BestStart is committing to playing its part. To reward academic excellence and to encourage and support students to undertake full-time study in the areas of Maori Development and Maori Media, Te Ara Poutama, the Faculty of Māori and Indigenous Development is offering undergraduate scholarships (BA Māori Development major and BMD Māori Media). The purpose of the Teupoko'ina Utanga Morgan Memorial Award is to advance Pacific early childhood education services. Early childhood education refers to both informal and formal pre-school teaching of young children by people outside the family or in settings outside the home. This scholarship provides funds for individuals to undertake research towards a doctoral degree at a New Zealand university. In New Zealand there are debates around a number of issues that impact on the field of human reproduction — social, medical and technological. This scholarship is designed to further that debate by promoting discussion of the cultural, ethical, legal, and spiritual topics surrounding it. Awarded annually to a doctoral student who is a citizen and resident of one of the following Pacific countries; Cook Islands, Fiji, Kiribati, Nauru, Niue, Papua New Guinea, Samoa, Solomon Islands, Tokelau, Tonga and Vanuatu to carry out doctoral study at AUT University. By awarding The Queen Elizabeth II Diamond Jubilee AUT Doctoral Scholarship AUT aims to: Develop an internationally-aware, skilled future leader Establish enduring education and professional linkages. Why we want to help A major requirement of academics is that they undertake research-related travel. Academics are expected to attend and present their work at interstate and international conferences regularly, and certain disciplines involve extensive fieldwork, sometimes in remote locations. This travel costs both time and money, with academics at times even choosing to fund their own travel due to the intense pressure for career advancement through research and publication. For academics with young children, time spent away from home is often difficult and expensive to organise. This has a greater effect on female academics: as women across Australia already know, in general, mothers carry the burden of either caring directly for children, or for organising their care by others. The purpose of attending the conference should be to assist with the student’s research or professional development. The student does not necessarily have to be presenting a paper or poster at the conference to be eligible to apply for the grant, though it is preferred. How we can help For early career women academics, there are often costs associated with working longer hours to meet both their varied responsibilities and their research goals. While working outside of normal hours is not a practice that we encourage, it is one that is widely acknowledged (and sometimes even expected) to occur in academia. Often a woman’s additional childcare responsibilities, for example, are a barrier to her performing this additional work, putting her at a disadvantage in comparison to colleagues without those same responsibilities. In offering this grant, Capstone Editing acknowledges the greater difficulties faced by female academics in developing and continuing their careers and seeks to ameliorate this situation with practical, financial support. We are thrilled to add the Capstone Editing Grant for Professional Thesis Editing to our program. The grant provides free thesis editing for one Masters student and one PhD student per year. There is no limit on the amount of words in the thesis that we will edit (so long as the thesis meets the students’ departments’ word limit). It just needs to be a thesis written for a postgraduate degree for an Australian or New Zealand university. The grant comes in the form of a A$3,000 gift voucher for Harvey Norman. The recipient can purchase any computer or laptop they choose and use any remaining funds to purchase software and computer accessories. 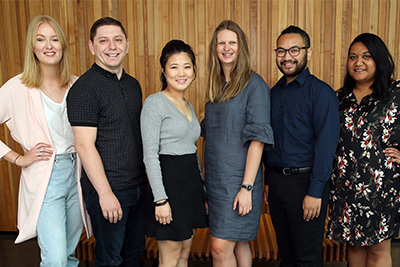 The Capstone Editing Research Scholarship for Honours Students provides up to A$3,000 (tax free) to one student per year to assist with covering the costs associated with the research for their thesis. The A$3,000 scholarship can be used to cover any research-related costs. This might be travelling to a conference or on a field trip, purchasing books or a computer, or even to put towards HELP fees. As part of the application, an outline of how the funds are to be used and evidence of the costs involved (such as a quotation or invoice) must be provided. The student’s supervisor will also need to provide a letter confirming their support for the funds to be used in the proposed way, should their student be awarded the scholarship. Capstone Editing seeks to make a modest contribution towards this target through our Scholarship for Indigenous High School Students. The scholarship will initially be available in South Australia, the home state of Dr Lines, but will hopefully be expanded to other states in the future. TPT, Lifewise and Auckland University of Technology (AUT) will partner to support a student, in the age range of 17-24-year-old who has experienced homeless, at risk of becoming homeless or have a serious housing need to receive a university education. The Auckland Chamber of Commerce has established a scholarship to mark Michael Barnett’s 25 years of leadership of the Auckland Chamber of Commerce. The purpose of the scholarships is to encourage Pacific students pursue studies in STEM subjects at tertiary level and increase the numbers employed in STEM careers. The purpose of the Transpower Scholarship for Māori Engineering Students is to assist students of Māori descent who are studying a four-year Bachelor of Engineering with Honours degree in disciplines of interest to Transpower.